Disaronno Amaretto Italian Almond Liqueur is a popular Liqueurs available from DrinkSupermarket.com in 70cl to buy online. 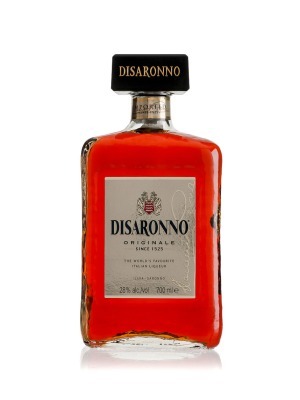 Visit DrinkSupermarket.com for the best price for 70cl of Disaronno Amaretto Italian Almond Liqueur or compare prices on our other Liqueurs products. Disaronno Amaretto liqueur is fostered from a secret combination of exotic botanicals and spices steeped apricot kernel oil for its exquisite distinctive taste. An effortless Italian chic liqueur perfect for any occasion. Where to buy Disaronno Amaretto Italian Almond Liqueur ? Disaronno Amaretto Italian Almond Liqueur Supermarkets & Stockists. You can buy Disaronno Amaretto Italian Almond Liqueur online in most retailers and find it in the Liqueurs aisle in supermarkets but we found the best deals online for Disaronno Amaretto Italian Almond Liqueur in DrinkSupermarket.com, Tesco Groceries, TheDrinkShop, and others. Compare the current price of Disaronno Amaretto Italian Almond Liqueur in 70cl size in the table of offers below. Simply click on the button to order Disaronno Amaretto Italian Almond Liqueur online now.